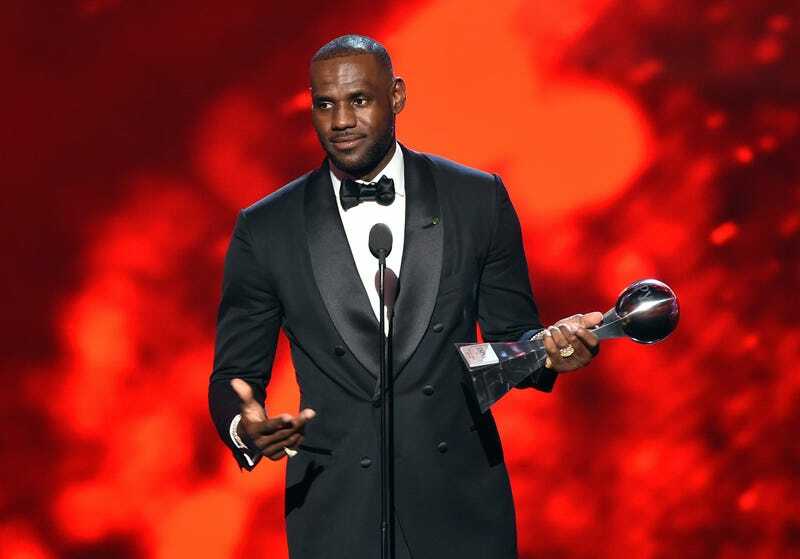 LeBron James accepts the Best Male Athlete award during the 2016 ESPYs in Los Angeles on July 13, 2016. LeBron James has big goals after he retires from basketball, and one of them is to follow in the footsteps of Michael Jordan. In a new podcast hosted by Jesse Williams (yes, that Jesse Williams—is there anything this man can't do?) and Stefan Marolachakis, James spoke of his postretirement goals. He continued, “And I would love to be a part of a franchise, if not at the top. My dream is to actually own a team, and I don’t need to have fully hands on. If I’m fortunate enough to own a team, then I’m going to hire the best GM and president that I can." Of course, James will have the money for it. According to Forbes, he's on his way toward achieving his goal of becoming a billionaire. Not too bad for a kid from Akron, Ohio!